You'll be £4.99 closer to your next £10.00 credit when you purchase Seafarers' Voices 9 - Man of War Life. What's this? Like many a restless teenager before him, Charles Nordhoff craved excitement and in 1844, when barely 14, he managed to talk his way into the US Navy. 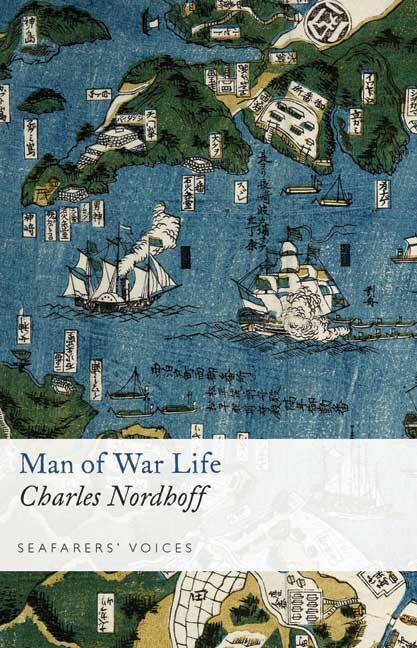 A bookish lad who had been apprenticed to a printer, Nordhoff was better educated than most of his fellow seamen, and was well equipped to describe what became a three-year round-the-world adventure. He was lucky in his ship, USS Columbus, a large 74-gun ship of the line that had been chosen to undertake a diplomatic mission to China, and then to Japan, in an abortive attempt to open the latter to American trade. In the course of this voyage, Nordhoff was to see many countries of south-east Asia and the Far East, before crossing the Pacific, visiting South America, rounding Cape Horn, and finally returning to Norfolk, Virginia, having crossed the Equator six times. Apart from its descriptions of exotic climes, much of the interest in the book lies in a boy's view of naval life and how the ship was run. The US Navy was small and followed very conservative principles, with an emphasis on discipline, routine and training that would have been familiar a century earlier. However, it was also subtly different: more humane in its treatment of the crew, less draconian in punishment, and a promoter of what would be considered 'Victorian' moral values. The book offers a valuable and entertaining account of life in the last days of the sailing warship. An illuminating view of shipboard life during the last days of the American Navy under sail. Very accessible and likely to be noticed and read by naval and maritime historians. An enjoyable read that offers a unique perspective on the seafaring history of the time. The series of pocket books provides a very affordable and personal view from seafarers who sailed in an age long past and very different in many ways from the experiences of modern seafarers. This book in the series is unique in several respects, not least that the author was better educated than his shipmatesand able to provide a written account that is vibrant and colourful. This is an extraordinary and valuable book that provides an insight into life under sail on a line-of-battle ship in the US Navy, the author has provided a lively and engaging tale that provides a view of a little-covered period through the eyes of a boy in what was a hard life before the steel steam-powered warship.